He’s Supposed To Say Grace Before Eating, But Keep Your Eyes On The Corn! Most people were raised to say a prayer before they eat – giving thanks for everything they have. It only takes a moment, and out of respect, you don’t eat any food until the prayers are done. But this little boy was torn between hunger and prayer. 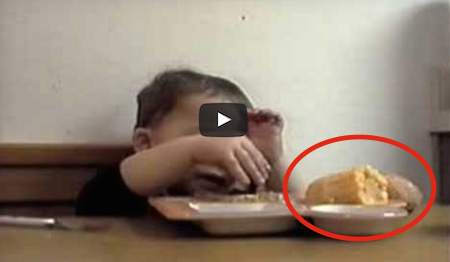 And how he handles it – hilarious! This Woman Was In Danger Until A Gas Station Clerk Saved Her Life!